Hearing loss is the third most common health problem in the US. It is also the number defect during birth and the number one identified work-related injury. Yet, despite this health problem being so popular many people don’t know and understand when to see a hearing loss doctor. Regular ear checkup is a must for all individuals to make sure that your ear is well taken cared of. Earwax is the body’s way to clean the ear, protect the inner ear, moisturize the ear canal and acts as a natural antibiotic for the ear. However, when the earwax is not properly cleaned (though cleaning is advised to be done infrequently) it can cause the wax to be more embedded in the ear which may cause loss of hearing. If you notice excessive earwax in your ear, it is time to see the doctor. Children and females speak in a high register, so the first signs of losing your hearing ability is when you are unable to hear high pitched voices. The same is true for high-pitched sounds. 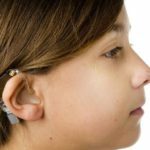 If you notice such instances, seeing a Georgia hearing loss doctor is the best decision. One of the most common ways to notice that you are experiencing hearing loss is when you constantly increase the volume of your television for you to comfortably comprehend dialogues and sounds. You know it’s time to see a Georgia audiologist when you keep asking people to repeat what they are saying, in different occasions. A Georgia hearing doctor is what you definitely need when you are having high level of difficulty hearing and understanding what a person in front of you is saying in a crowded area like restaurants or a crowded room. Undetected and unrecognized hearing loss may lead to other symptoms like depression. Hearing loss may also be responsible for some people’s reluctance to go out or socialize and they may not be aware of it. The first sign of communication discomfort may not be emotional, but rather difficulty or loss of hearing. Arkansas Center for Ear, Nose, Throat, and Allergy has the best Arkansas hearing loss doctors in the state. Visit us today and we can help you detect a potential hearing loss problem and give you the appropriate treatment.